Affordable websites for builders with SEO (Google ranking) included. New, mobile-friendly website for a Sydney building company. 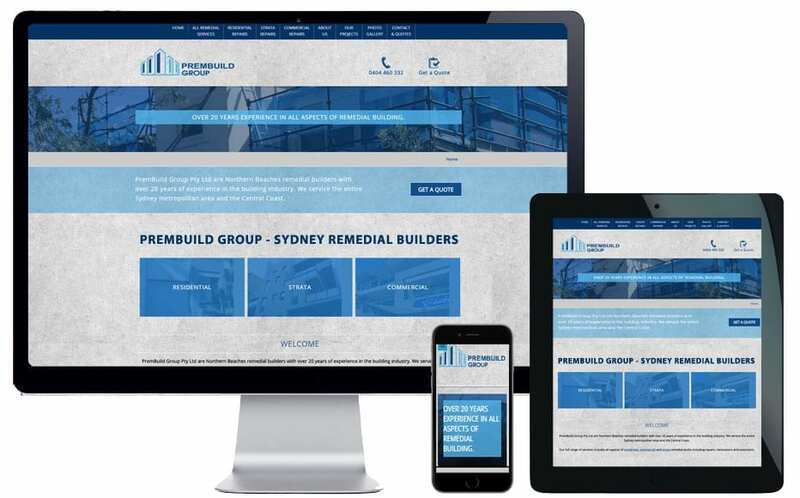 PremBuild Group Pty Ltd, a Northern Beaches building company, already had a website but it had been developed many years ago and was very outdated. The original website was not mobile friendly and it hadn’t been updated for years. The content and photos were out of date and didn’t adequately represent the calibre of work undertaken. Unfortunately, it hadn’t been optimised at all for search engine ranking so wasn’t attracting any business or customer enquiries. Creating a contemporary, mobile-friendly website design that represented their business and appealed to the customers they want to attract. WordPress website development with built-in content management functionality so the client can make changes themselves. Extensive keyword research and a comprehensive SEO strategy. Portfolio and photo gallery so the client can showcase their remedial building projects. When I developed this new website, the brief included organic search engine optimisation to ensure the client achieved a top Google ranking. After all, what’s the point having a beautiful website if potential customers can’t find it? It’s important to point out that search engine optimisation (or SEO as it is commonly referred) is not easy and that’s why many website developers don’t do it. I have been optimising websites for 15+ years and it is a highly complex process that requires ongoing commitment to stay up to date with Google’s ever-changing requirements. For every website I optimise I undertake extensive keyword research, develop an extensive SEO strategy, curate the required content, research the client’s competitors and customer behaviour, plus many other factors. All this culminates into an SEO strategy that will gain the attention of Google (for all the right keywords), a top search engine ranking and, most importantly, click-throughs to the client’s website. Next, once client’s land on the website it is then paramount that there are calls-to-action prompting the client to contact / buy / engage. Most of us no longer want to be restricted to our desktop computers when we need to undertake menial daily tasks, instead wanting to access the internet from anywhere and at any time. Whether it’s making a dentist appointment, finding a local restaurant or tradesperson, or finding someone to fix your computer quickly, we want to do it wherever we are and when the need arises. The penetration of mobile phones, voice-activated search, smart watches and smart speakers (Amazon Alexa, Google Home, etc), offer us greater convenience. And that’s why it’s more important than ever that your business is listed in all the right places – particularly if you’re a local business trying to attract local customers. 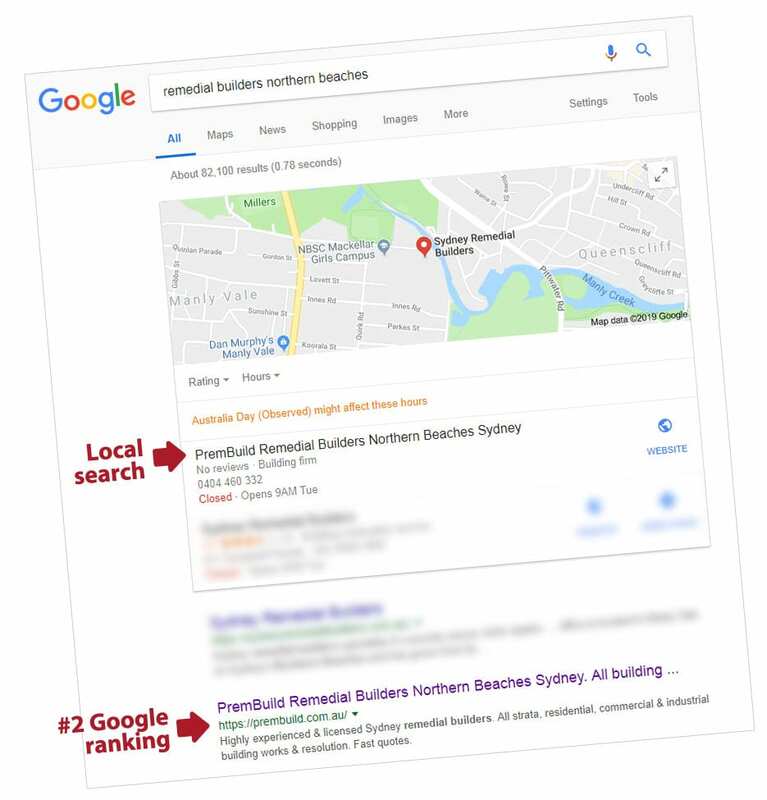 Local search marketing formed an integral part of my SEO strategy as many of their customers, including homeowners, strata agents and building managers, will live and work locally (see screen shot above). What is search engine optimisation and how does it work? PremBuild Group Pty Ltd are Northern Beaches remedial builders with over 20 years of experience in the building industry. They service the entire Sydney metropolitan area and the Central Coast. Their full range of services includes all aspects of residential, commercial and strata remedial works including repairs, renovations and extensions. Their experienced team of licensed builders offer a premium service with all remedial works delivered on time with quality, efficiency and reliability. I have been providing specialist website development, SEO and internet marketing services for businesses of all shapes and sizes (including Sydney hotels and pubs) since 1996. One of my most distinguishing points of difference over other website development companies is the advice, knowledge and expertise I provide my clients at no additional cost. I don’t see my role as simply your website developer or graphic designer. I work in conjunction with you to determine who your clients are, where they can be found and how we can ensure your marketing message speaks directly to potential customers. I want your business to get noticed and your level of enquiries to increase exponentially. My affordable all-inclusive packages include website development, SEO (Google ranking), keyword research, domain name registration, website hosting and unlimited email addresses. If you would like more information about my web design services and how I can help your trade business get to the top of the search engines (and stay there), please don’t hesitate to contact me anytime. 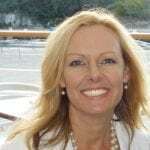 Rebecca is a highly experienced website developer and digital marketing expert with 20+ years experience. 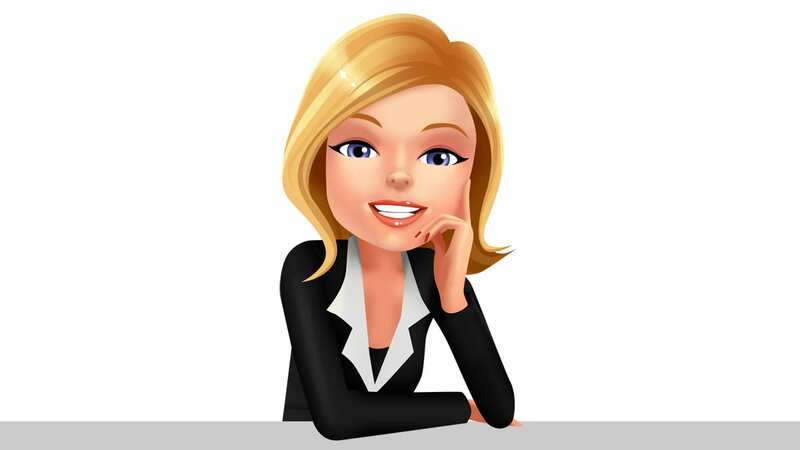 Since 1996 Rebecca has worked with hundreds of businesses and charities across all industries assisting them with new website design, website upgrades, achieving a top search engine ranking and all aspects of their online and offline marketing requirements, including social media management. Additionally, Rebecca offers digital marketing consultancy and workshops that provide small business owners and their staff with the skills to manage their social media and digital marketing in-house and the confidence to maintain their websites and search engine ranking. Contact Rebecca direct for expert advice and assistance with all your website, SEO, social media and online marketing requirements. RAM Website Design and SEO Northern Beaches © 2019. All Rights Reserved.